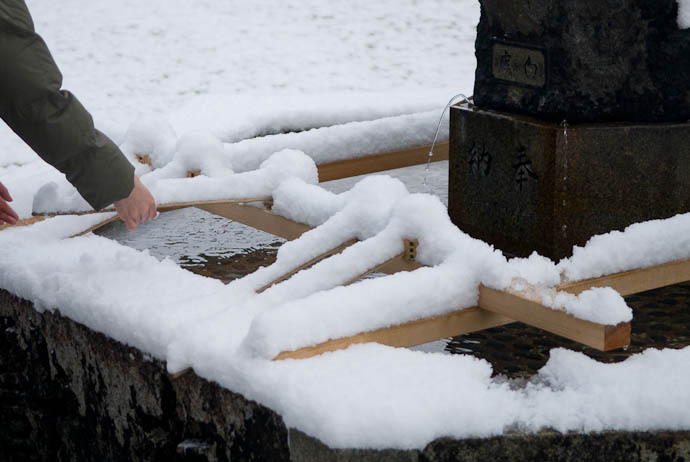 «« previous: Snowy Quiz: What am I? 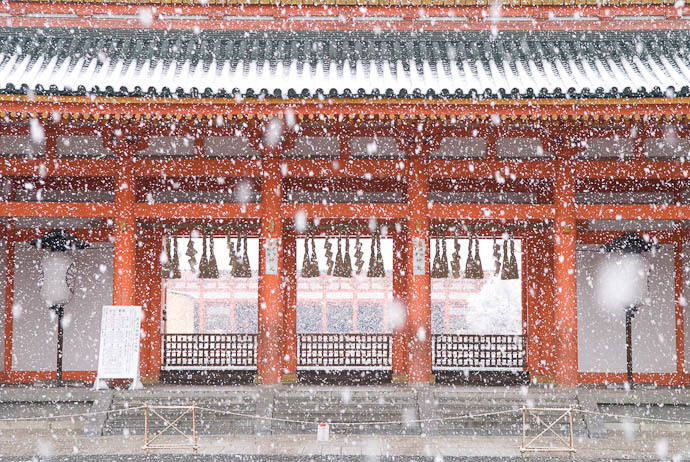 Normally you can go up and through the big gate (such as done by these cute kids in kimono and these demons and this family), but this day it was roped off with “beware of falling snow” signs, as if there was actually enough snow to accumulate on the roof to a dangerous level. It seems sort of silly to me, but in any case, you can still enter the shrine grounds through doors on the side. It's what little boys do. 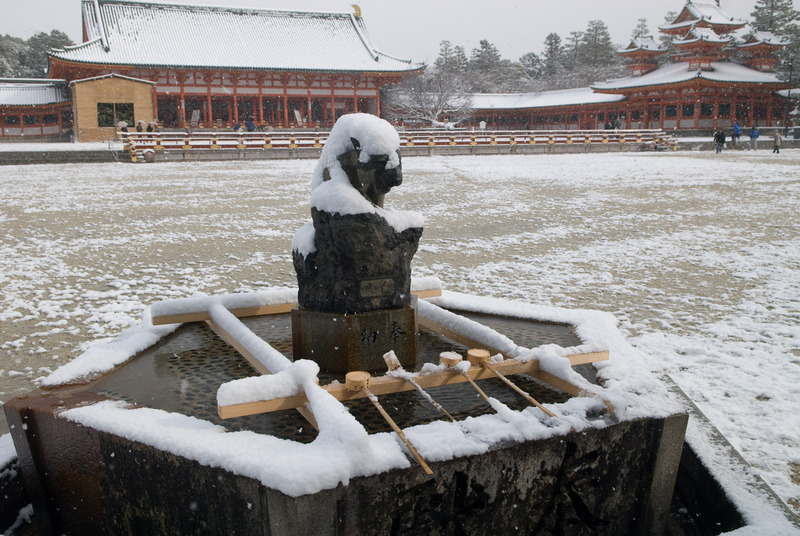 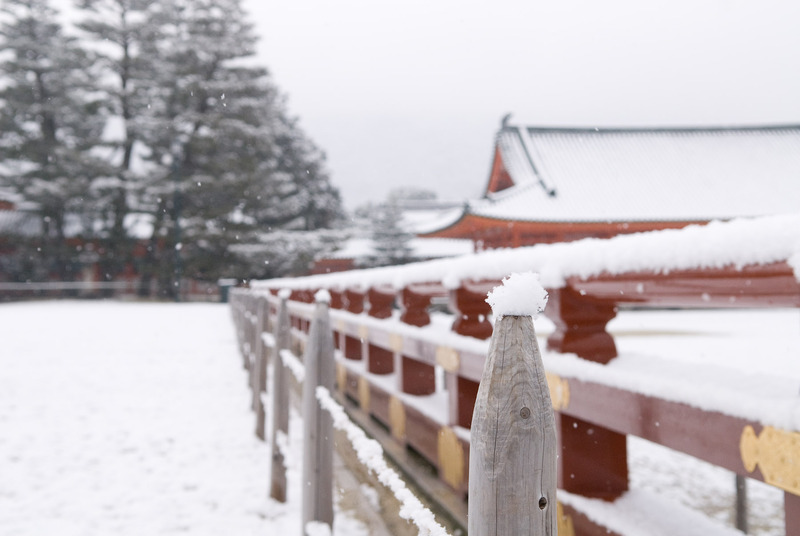 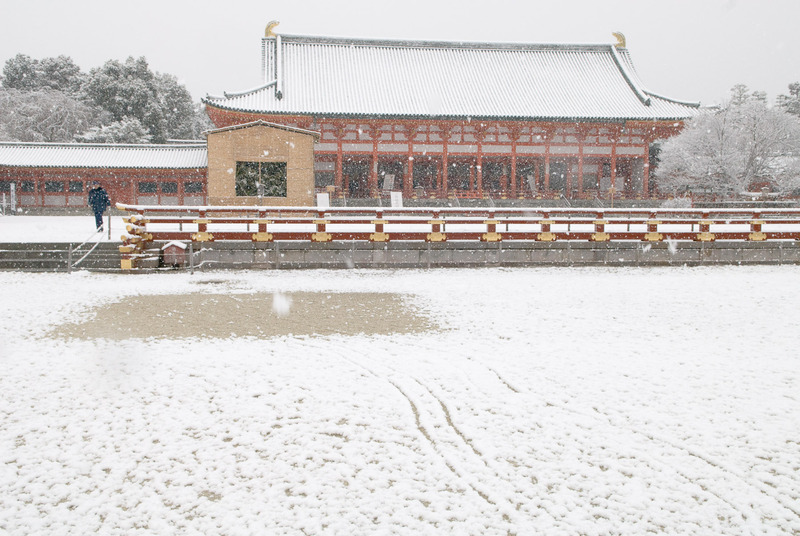 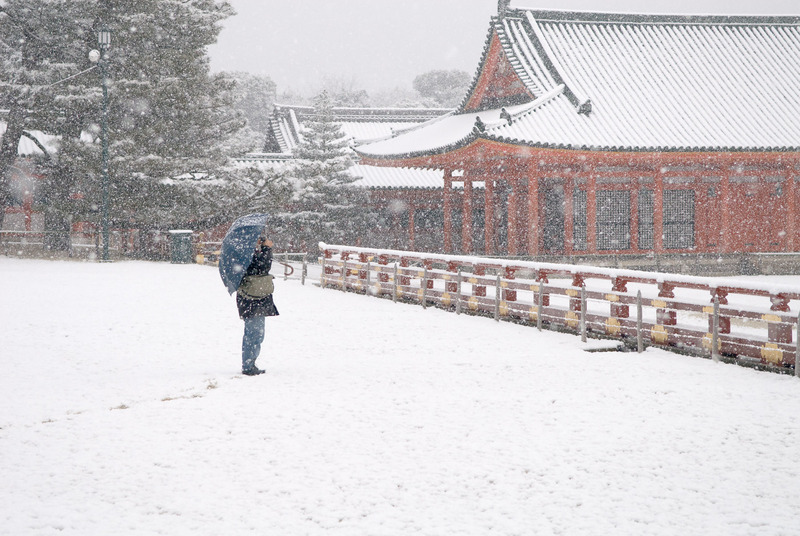 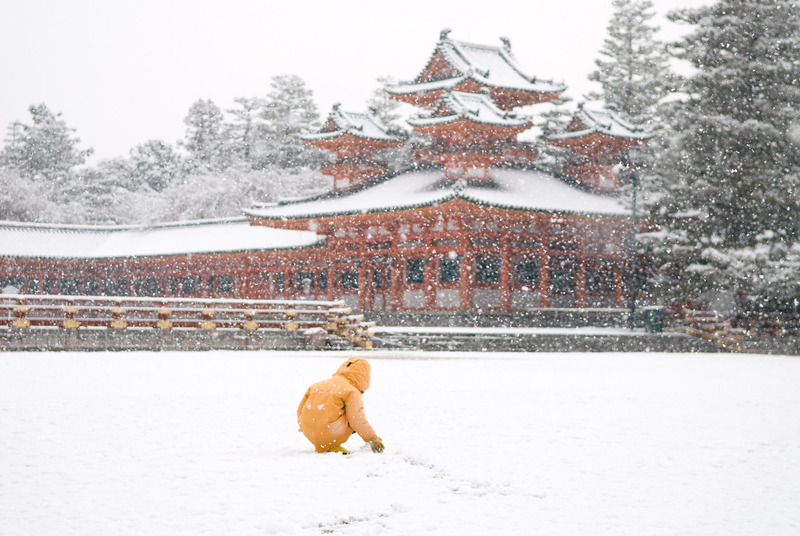 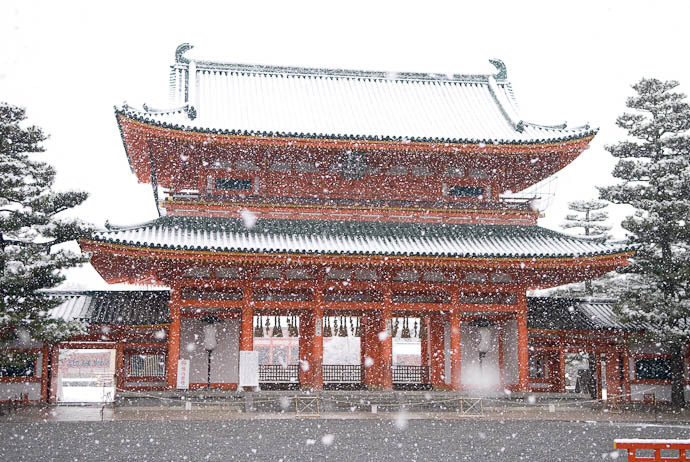 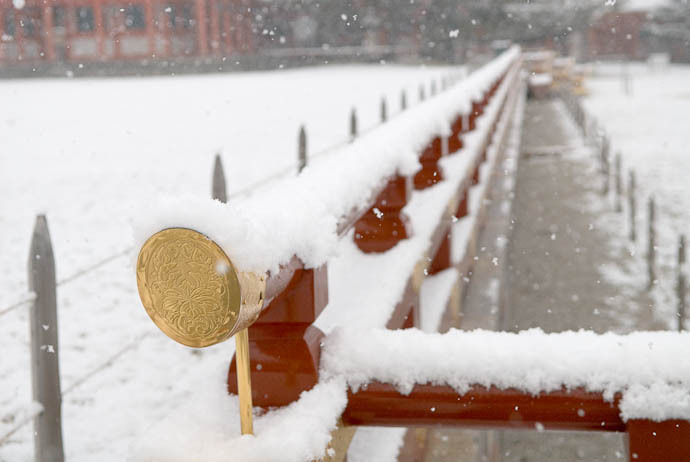 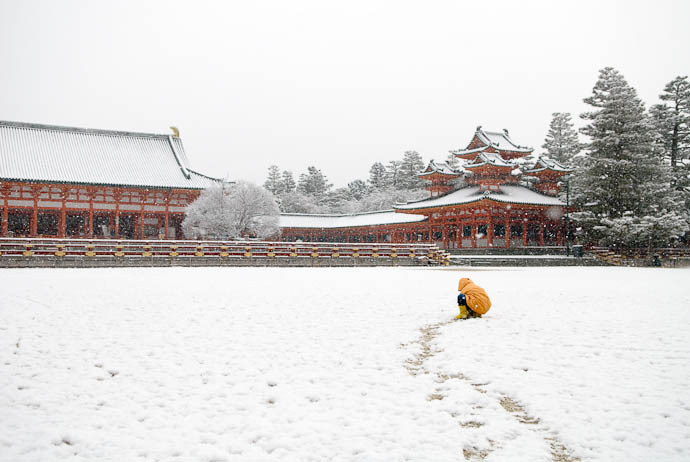 Now we're at the point where I took the pictures that lead off the post I published that day, Amazing Snow at the Heian Shrine. 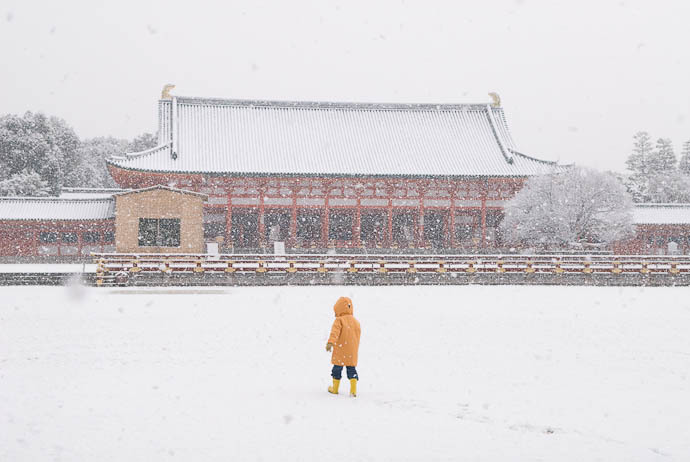 I like the ornate little building in the background, and we've seen it here on my blog before, most recently as the backdrop to a kimono-laden family portrait. 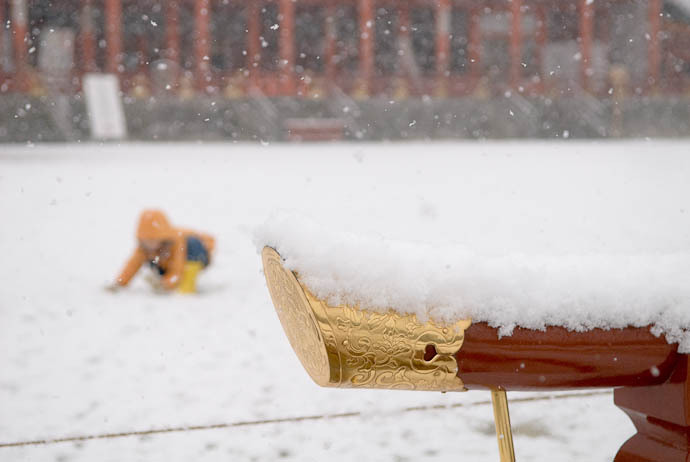 Under the ground at that point is a big cistern, one of a pair I saw being used at the event covered in my Intense Burn: Shinto Rite at the Heian Shrine post. The water must have warmed the ground enough to melt the snow as it landed. The colors are wrong, but it makes me think of the Muppet Beaker. 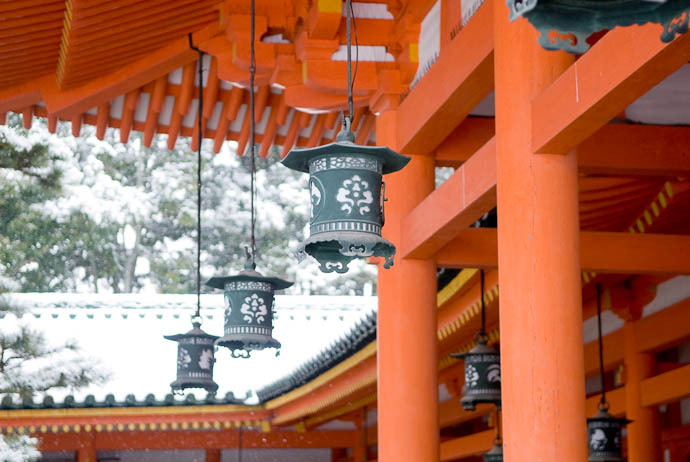 Several buildings in the shrine complex have these lanterns; one of my first pictures with my D200 a few years back was Lanterns at the Heian Shrine, of those on the building across the courtyard from this one. 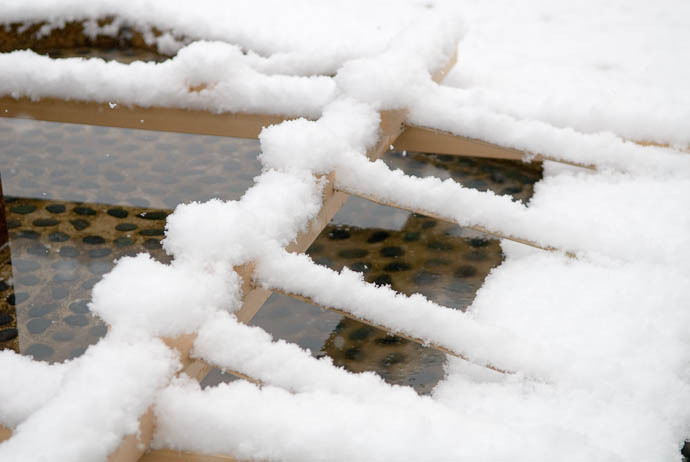 December 21st, 2008 Snowy Quiz: What am I?